The act of torrenting, or peer-to-peer downloading, brings up questions such as whether it is legal or not. If it is, what are the chances of getting caught? Much of the content shared on torrenting sites is illegal and violates copyright. These questions require a general understanding of how torrent downloads work, what makes some of them illegal, and how to protect your privacy when using them. Downloading anything that has a copyright that you haven’t legally purchased for free through a torrenting client is illegal. The torrent client itself isn’t illegal because some torrents exist that aren’t protected by copyright laws and are perfectly safe to share. The majority of countries have established laws regarding intellectual property. You can’t download music, movies, games, or books that you haven’t purchased if they’re protected by copyright laws. What constitutes illegal vs. illegal also depends on the country you reside in. Copyrights can exist for fifty, seventy, or more years to protect the value of intellectual property. Are you truly anonymous in the torrenting world? Not really. You’d think that there would be a degree of privacy since you’re not connected directly to a server for whatever you’re downloading. The torrent downloading process involves downloading bits and pieces of the file from seeders, people who have the file. 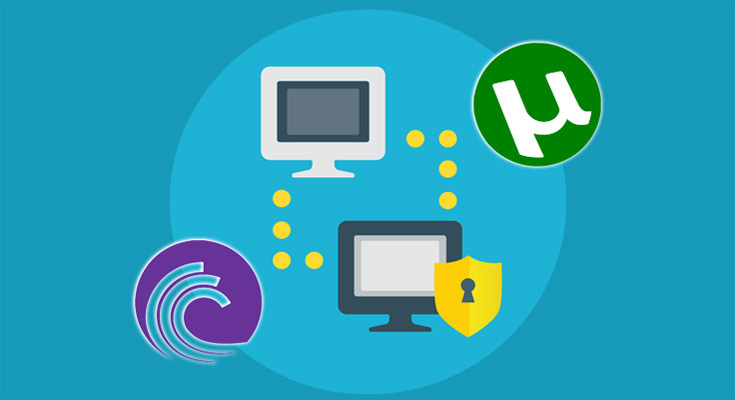 It is definitely possible to get caught downloading illegal material through torrent clients. Internet providers, government agencies, and companies concerned with copyright often crawl torrent sites. Many torrent sites create a list of seeders and peers for each file, meaning that your information is available for the taking if desired. The number of people who get caught is minuscule when compared to how many people use torrents, but it’s definitely a possibility. You can choose to turn off seeding when the file finishes, which disables uploading the file to other users, but somewhat defeats the purpose of what a torrenting network is for and is generally seen as being selfish in the community. An alternative to turning off seeding is to use a VPN service like www.vpnrus.com as an extra safety precaution. A VPN routes your traffic anonymously through a different IP address to mask your identity. A proxy works in a similar manner to hide your identity and protect yourself from possible infractions if the idea of getting caught is hanging over your head. Torrent on its surface does not always equal piracy. You have to download copyrighted material for it to be considered piracy, and the definition depends on where in the world you’re accessing the Internet from. Torrenting simply makes it easier for users to download files in a streamlined manner. Be vigilant and know the laws in your country to ensure that your actions don’t cross the line between legal and illegal.